First put together in 2011. If you have an understanding of the Milner Group  then what we find within this Trust will show clearly we have here a serious corporate Crown operation in the Dulverton Trust. The Dulverton Trust came to my attention after presenting a report in which it is suggested the people of Great Britain should be issued food vouchers from the Jobcentres around the country, even though we as taxpayers hand over £468.9 billion per annum to the treasury, £93 billion from VAT alone, (data collected in 2011) a situation I find to be more about mismanagement of our funds than any ties to the facade that is the global banking fiasco. The whole basis of the financial turmoil is the strategy always employed by the elites before they move to change the face of the global societies, first they shift into depression then they begin the path to perpetual war. In order they can ensure they have absolute control of all sides they must ensure they control each nation involved, this is achieved with the merging of the corporate with the civil systems creating full dependence on the private operations for all domestic activities as they become the outsource contractors of essential services. This system is known as fascism. Under the fascist system, the taxpayer pays a far higher cost for services provided by the corporate than that of the civil state, bound under contract the outsource providers continually raise the costs while ensuring the services shrink. They then force the government to borrow more which enables the raising of yet more revenue off the taxpayers in statute fines. David Cameron in his 2010 conference speech, explained how his government is to hand a further 25% of our state services to big corporate and their charitable trusts having the knock on effect that the treasury receives no tax from that 25% of outsourced service because of course, the corporate entities and charities pay no tax back into the pot. The corporate government is speaking on behalf of people who identify these lands as the United Kingdom, missing the fact devolution is in full swing at least from the elites chosen landmass and home, Scotland. We live in Great Britain and we have a constitution, why is it not being honoured? The announcement of the food voucher agenda seemingly came from David Cameron before gaining office as the leader of the coalition government, which has decided that in order to deal with the fraudulent financial deficit, they must demolish yet further the poorest amongst our society while continuing to carve up our economy to fill the offshore bank accounts for the elites. A job almost completed as we head to the EU referendum on Thursday, I do wonder….will they actually remove the statutes of the union if we leave? The issuance of food vouchers are in the hands of the Evangelical Trussell Trust,  which given the figures of those using the Jobcentres to be around 3 million, set to expand as yet more foreign hand picked students, are trained by the scholarships of such operations as Dulverton in place of native Brits, paid for by the taxpayers, only furthers the secrecy agenda as the same students feel a debt to Dulverton and all other charitable operations running the outsource contracts, they are then positioned within our civil and public services and of course oppose nothing as they know no better. The corporate realm calls this strategy state capture, as they shift from public service for the taxpayer into nothing other than a channel for all our tax to shift into the hands of the corporate Crown connected sub contractors, such as the Department for Work and Pensions, and the Ministry of Justice. Gordon Brown set up a scam in the Jobcentre in which private corporations charge we the taxpayer 400 pounds per hour, to advise those who earned over 50.000 per year. Already in our exposure of such insanity and fraud, we have found billions being shifted into the hands of the corporations by the Jobcentre Plus operation, which claims to be civil yet is controlled at its highest levels within each Jobcentre by networks of charitable trusts who have a completely different agenda, ultimately backed by the corporate DWP. What used to be the department ensuring Social Security is now the department to ensure jobs and pensions for the corporate employees which requires the maltreatment of the very people who pay the tax on which the same charities gain their financial existence. The aim is to force the slavery of taxpayers as they are forced to work for the same charitable trust connected corporate interests under such operations as the Work Programme and Mandatory Work activity Programme, they are also tasked to throw people off benefits which creates internally displaced persons, and off to the Evangelical volunteer camps you will go. We may not be there yet, but the football stadiums will take on a whole new meaning under the displacement agenda as more and more fall foul of the Jobcentre Plus advisers whims and have their benefits removed. Basically, our entire civil service has been taken over by operatives from pseudo-charitable trusts at the management level, and as such the majority of employees within the Jobcentre have become pawns, not to our civil service, but unto these charitable Trusts backed by the corporate DWP. Common Purpose is one of these charities, but absolutely not the main one, as such common purpose has been presented to you all in order it covers what I would call the real power trusts….Dulverton is one of those higher level charitable Trusts, hidden by the fact everyone is looking and blaming common purpose, only. Under its current MO, Dulverton deals with charities below the 50 million annual turnover mark, and as such in my eyes has acted as the facilitator in creating the smaller charitable trusts in the positions under which that small status will change dramatically, and thus Dulverton will change its MO as it goes. So we look at this charitable Trust as it presents itself today, while understanding its mission has been a success, as the supported charities it funds are now positioned to grow on the back of people in distress. This is exactly how the elites have operated throughout history as the same elites use their religions to position their networks across the world as ‘missions’, of course offering to help those in need, when we know they always place their needs first which always play around the eugenics agendas. The charities are the new Zionist Church missions into whose hands will go all who suffer poverty. The Lord Dulverton : Gilbert Alan Hamilton Wills (the 1st Lord Dulverton) had a brother, Frederick Noel Hamilton Wills, his grand-daughter is Catherine Mary Hamilton Wills, also a trustee of the Dulverton Trust. (Gilbert Alan Hamilton Wills is the 1st Lord Dulverton. One grandson is Gilbert Michael Hamilton Wills, the third Lord Dulverton and trustee of Dulverton Trust. Another grandson is Christopher Aubrey Hamilton Wills, also a trustee of Dulverton Trust.) Nothing like keeping it in the family. This Mother has never been charged w/ abuse. In fact, a District Judge ordered the investigation of this case and has been summarily ignored. SOS Children’s Village is connected to the European Institute of Management (EIM Group) which has been connected to the Belgian Dutroux affair. Make note of the names on this page: http://www.sosisr.co.il/english.html “SOS Children” refers to SOS Kinderdorf worldwide. SOS Children is a working name for SOS Children’s Villages UK. The former Child Welfare Officer and former Consultant to Ministers of Labour and Welfare who is taking tens of thousands of shekels from her is Shimon Tajuri. The woman who referred her and other Mothers to Shimon Tajuri is Professor Esther Herzog of the Beit Berl College in K’far Sava. She is an anthropologist and active in the feminist movement in Israel. The name of the Manager of Neradim is Matti Rose. He is the one who said that they’ll “finish her off” if she goes to the press. In Hebrew it can mean destroying someone in various ways or even killing them. The Mother said that he spoke like a criminal and that his threatening words could be construed in more than one way, one of which is terminating her, but surely destroying her. Matti Rose stated that they have a lot of money and can do what they want with her. The Head of Social Services in Arad is Yehudit Glantz. She’s a monster. The Mother is afraid to give me the name of the Arab lawyer who took 20,000 NIS from her w/t a receipt because is about to become a judge. He returned most of the money after she said she had taped the transaction. They are preventing her from getting Internet for 5 years. So from the get go we find Sir Malcolm Rifkind, a man with very dark secrets and very involved in a breaking scandal over lost nuclear weapons under the watch of Dr David Kelly. Rifkind was one of the chosen Thatcher Tories to sign a gagging order in order the Matrix Churchill trial disintegrated to prevent the information of one Gerald James, former Chairman of Astra from reaching the judge. Astra ….Big in all things arms, and through Stephan Kock, MI6 was able to make some very secret arms deals amongst other diatribes, without the knowledge of Gerald James, and our current dictator, David Cameron was in this debacle up to his neck. Not forgetting this is a charitable trust, why the military? made for particularly deserving charities. In effect, this operation keeps its influence with charities below 50 million annual turnover, and as such divides the trail in relation to the real power of the Crown over the global charitable operations under which this global fascism is being implemented, and of course with the charitable status, not subject to Freedom of Information requests….Very clever, especially so given all our focused to common purpose. The Trust is involved in Youth & Education category and includes reference to encouraging study of the more technical subjects, challenging outdoor activities and providing experience of the countryside for urban and suburban children. concerned with inter-faith understanding. Support for families continues to be an important theme. Interfaith read Christian Zionist oversoul, and thus this administrator is nothing other than a financier of charitable trusts operating the Zionist mandate and the destruction of Great Britain, but of course being a corporate Crown operation, this Trust operates globally. Health and medicine, including drug and alcohol addiction, therapy and counselling. The arts, including theatre, music and drama. Sport, including sports centres and individual playing field projects. Animal welfare or projects concerning the protection of single species. Conferences, cultural festivals, exhibitions and events. Work that has already taken place (retrospective funding). Appeals which seek to replace statutory funding. The above clearly shows this Trust has a big part to play in programming the Tavistock doctrines, as the Crown divides the nation into Stakeholder Communities. The Arts today are nothing but Luciferian doctrines, be this music, drama, theatre, or festivals, presenting Dulverton as yet another corporate administrator pushing all things contract into our real communities. In our investigations, we find the Westminster village to be the temple for all things beneath the corporate Crown, with the Methodist Hall having a central role in all things religion. It shows this in the six fascia adorning each side of its entrance, and its current big connections to all things African. To give insight as to how the Methodist’s have commanded the musical arts we find Michael Eavis, the man behind Glastonbury since its conception, is a big Methodist. Through this man artists the same elites wish to become forefront in all things culture, are thrust upon the masses through this annual event. I know this will upset many, as it surprised me also when I became aware of its reality. The Dulverton Trust is big in all things youth, an essential requirement to programme the next generation under NLP to operate the script as decreed by the Crown. They operate with Fairbridge, Right Track Scotland, Independent Panel for Special Education Advice, The Place2Be, YWCA Scotland, Keyfund Federation and Endeavour Training. Outward Bound Trust, and support for Jubilee Sailing Trust, Marine Society & Sea Cadets, Venture Trust, Raleigh International, Island Trust, YMCA England and Ocean Youth Trust South. They pull into their network inner-city primary school children with trips to the countryside, underlined by the grants to the Country Trust and Farms for City Children. and the Centre for the Advancement of Science & Technology Education. The grants to Prisoners’ Education Trust and Shannon Trust (and also Caring for Ex-Offenders and NACRO under the General Welfare Category) reflect Trustees’ concerns about the unacceptably high rates of recidivism amongst ex-prisoners. Teach First’s innovative work to recruit inspiring young teachers for inner city secondary schools was recognised by the award of a three-year grant. Teach First is a very interesting operation, it is in the schools, and expanding…. Collecting all things intelligence, especially on the staff who oppose all things ARK doctrine, (read ARK read Tavistock). They then remove those teachers who are not playing along or can see the deception with very drastic manoeuvres. For this to be so the head teacher has to be operating for the corporate charitable networks, it would seem their choice to be mainly women, who then demolish the career of those who oppose all that is being implemented in order the destruction of our children can move forward without the parents finding out. And what they are implementing, is the 0 to 19 curriculum, or full spectrum programming, they are now talking of funding children as young as two to be programmed from an even earlier time in the nursery, enforced via the jobcentre as they force single mums into work under the work programmes. They want the children. Education plays a big part in the games played by the Dulverton Trust, and as the Academy agenda moves swiftly on under this coalition government with the announcement that a further 1600 more schools have, or are applying for, Academy status in this year alone, and the fact under the wing of ARK Academy and United Learning Trust, amongst others, the military connection has just expanded. support for another excellent project, the Koiyaki Guide School in the Maasai Mara. The grants to Tools for Self Reliance, International Rescue Committee UK, Students Partnership Worldwide, TreeAid and Farm Africa were all for projects designed to assist local communities in East Africa to help them to improve self-sufficiency. An unusually large number of grants were awarded for projects in Uganda, reflecting the generally more peaceful conditions in that Country. This Category accounted this year for 4.9% of the grants, well below the 10% ceiling set by Trustees. It embraces charities which Trustees consider to be worthy of support, despite being at the margins of the Trust’s Guidelines, and also some which provide services for the benefit of the charitable sector as a whole. The largest grant was the continuation of the three-year grant to Combat Stress, and this was augmented by a grant to Gardening Leave, a new charity which offers horticultural therapy for veterans suffering from Post Traumatic Stress. An exceptional grant was awarded to the National Gallery towards the Titian Appeal. REACH Volunteering continued to receive a Perennial Grant for its excellent work in support of the whole charitable sector, by matching skilled volunteers to the needs of individual charities. They first create the horrific events under which people suffer, they then reap that suffering to control them. The First World War was the very event to kick start Tavistock. The largest grant was the Perennial award to the Royal United Services Institute, and this was supplemented towards the end of the year by a further Urgent Grant towards a study of the attitude of the Zimbabwean Army. The outstanding work of Encompass in bringing together young people from Israel, Palestine, Indonesia, UK and US through participation in Outward Bound activities was supported with a further grant. St Ethelburga’s received support towards new reconciliation initiatives. A conditional grant was made to the Oxford Research Group towards a high-level international conference, but this was deferred beyond the year end. 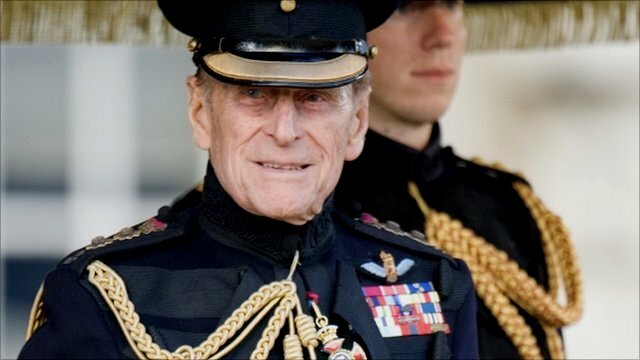 The above information clearly shows the length of the arms belonging to this Trust, we have the Duke of Edinburgh involved here, with command of many operations around the globe, not forgetting his best buddy now diseased, Prince Bernhard of the Netherlands, who during the 1950′s attempted to become overlord of Indonesia. The Prince of the Isles is the patron for the British Admiralty Church; St Martin in the Fields, we have deception here. The whole movement is built around the Admiralty. This category was discontinued as a result of the Quinquennial Review. Three grants had previously been awarded, the largest of which was for the Awareness Foundation (formerly known as the Trinity Foundation for Christianity & Culture), towards providing a course to assist with inter-faith understanding. In future, religious education may be considered under the Youth & Education Category, and inter-faith work under General Welfare. Of course when the elite speak of religion they are speaking of Lucifer and the shadow trinity which can be gleaned in the art of the elite backed pseudo-artist, Paul Fryer, presented within the Holy Trinity Church Marylebone. Who commissioned such an outrage? It is all there for you to see, fail in this regard and the insanity they covet will be implemented as we the people continue to be the victims of this corporate prison, we stop it now. They aim to destroy that which they cannot reach, they aim to destroy god on this plain, for they know him not.